Proper breathing techniques are extremely vital to the survival of a human being, and you can expect people who are able to breathe more easily and deeply to feel much better about themselves throughout the day. The power breath is something people can use to try and better their breathing techniques, and perhaps remove a little bit of stress and anxiety as the day goes on. 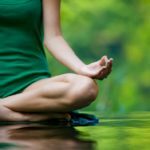 There are many different breathing techniques that someone can use to better their lives, and each different technique is usually able to provide its own unique benefit. Most people never think about breathing throughout the day, and the process really does come naturally to pretty much everyone once they are born. To get more benefits from your breathing technique, you need to use methods such as the power breath that allow you to breathe deeper and feel more relaxed. Small, short breaths are no way to go through life, and taking deep breaths of fresh air has many benefits to the mind, body and soul. Today’s world seems busier and more complex than ever before, which is why more and more people come down with conditions related to stress and anxiety. Sometimes this world becomes too much for people to handle, and this is where panic attacks and stress related illnesses come into play. Proper breathing techniques are just as important to your health as getting enough exercise and eating the right foods. Instead of using possibly harmful chemicals and drugs to treat illnesses, most people just need to get back to the basics and learn how to take care of their bodies. Using the power breath is one way to improve your overall health by helping to alleviate stress and releasing more tension from your body.Tension in the body is something you can feel when you are stressed out about something or have not exercised your body in quite some time. It’s important to release that tension building up in your body over time because it can start to take a toll on your body if you don’t take care of it. More stress and anxiety is the result of tension that is not dealt with, and there is probably no one in the world who would like to add more anxiety to their already complex lives. Combining a proper diet with useful breathing techniques and plenty of exercise is one of the best ways to heal the body of any illness. When it comes to the power breath, you will be learning techniques that involve three different stages. The first stage is known as sit-down breathing because you will be sitting on the ground as you try to find your center and breathe deep for about ten minutes. You will then move on to breathing techniques while in motion before finally coming back to breathe sitting down with your eyes closed this time around. 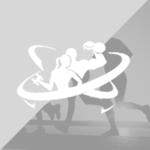 Previous articleWhat Is the Basal Metabolic Rate and What Bearing Does It Have on Fitness?